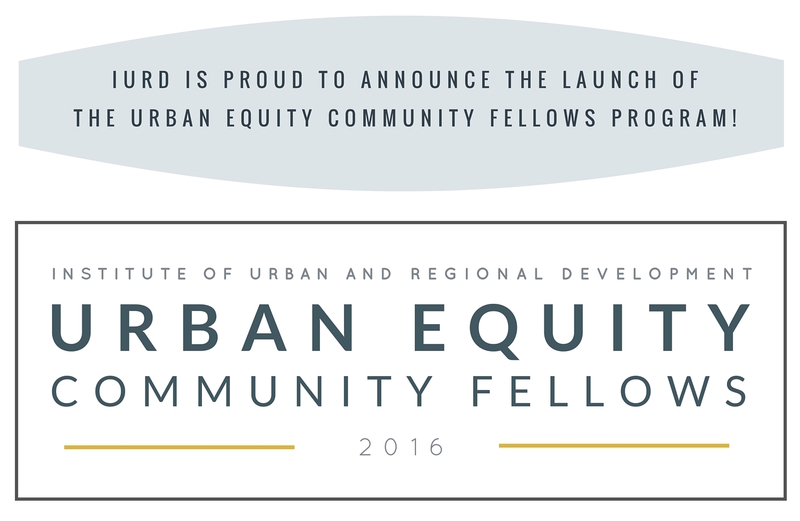 The IURD Urban Equity Community Fellows Program aims to build a movement of activist scholars working for urban equity in the Bay Area, nationally and around the world. 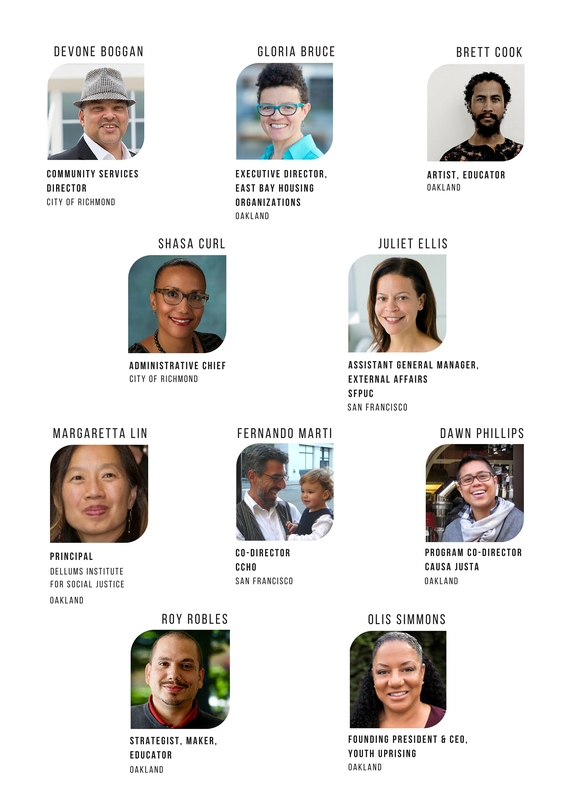 The program connects community leaders to one another as well as students and faculty at UC Berkeley, with the idea that strong networks, mentoring, classroom interactions and university-community action-research partnerships can proactively support urban equity. The program intentionally supports underrepresented students (from undergrads through PhD) and offers them a professional mentor, colloquiums, and other opportunities to link scholarship to practice and prepare for a social justice career. Community fellows are invited to affiliate with UC Berkeley’s IURD for at least one year. Fellows will be ‘visiting practitioner scholars’ at IURD, and participate in a seminar with faculty and students, have the opportunity to acquire new skills by attending classes and other Cal activities and find creative ways to engage students in their respective organization’s work. IURD offers community and student fellows stipends to support their time, but community fellows continue to work in their respective organizations while deepening their connections to IURD/UC Berkeley. The program will host ten practitioner fellows each year from various fields and backgrounds to provide a diverse array of perspectives and opportunities for connecting professionals, communities, and students. Students will be invited to apply on-line and selection will take place by a committee of professional fellows and faculty for the 2018 cohort. Applications will be announced in December of 2017 and fellowships will start in January 2018 and run for the calendar year.